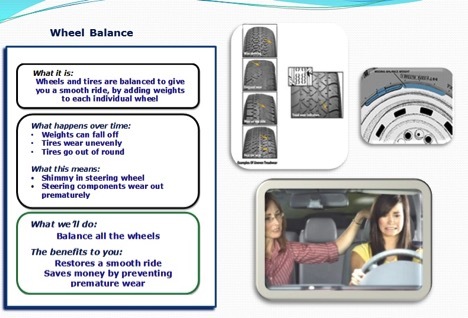 There are a variety of factors that affect how quickly or slowly tires wear, and whether they wear evenly. Driving habits, your maintenance habits and of course, the absolutely fantastic Ontario roads. If you are typically guilty of ignoring or delaying your tire rotations, balances and alignments, or of over or under inflation, those factors definitely cause your tires wear unevenly and too quickly. At Anderson Kia, we recommend you follow the AndersonKiaMenu.ca schedule diligently. For most vehicles, the rotation recommendation is every other oil change or every 12,000 kms. Tires should be replaced when they have 2/32' or less of tire tread depth. Your tires are one of the most important safeguards between your Kia and the road, don't take any chances, bring your Kia to Anderson Kia and we can determine the status of your tires and share with you the options for replacement. We are your Winter Tire Specialists too! And at Anderson Kia, you don't have to find a spot in your home or garage to store your winter tires (and your summer tires in the Winter) WE will store them for you too! If you purchased your vehicle from Anderson Kia after November 1st, 2018, the Anderson Advantage includes no-charge Tire Storage! Visit the Anderson Kia Tire Center to see all of the brands, sizes and options for your Kia.